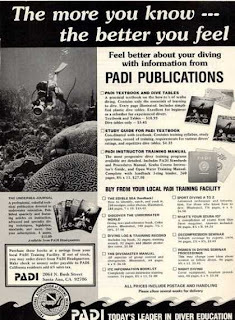 After last weeks vintage scuba equipment post and the very popular post about vintage scuba adds earlier this month, I'm happy to present some more vintage scuba adds. Next month should see some new IDC updates, since I've got an IDC starting on 8th April and an IDCS on the previous day. 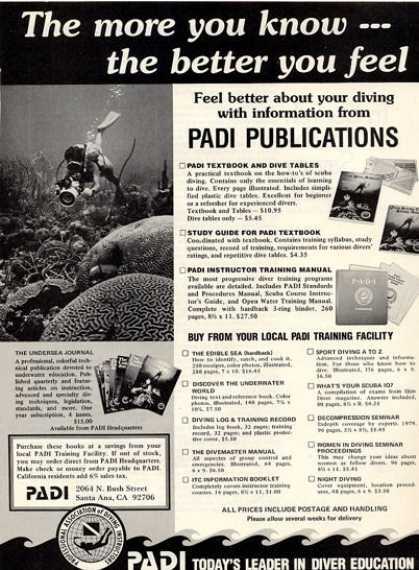 This must be one of the earliest PADI adds that survived, ever heard of that scuba training agency? 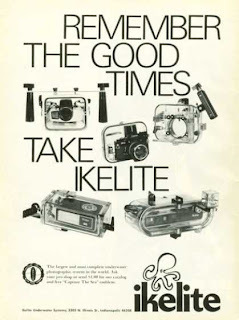 Ikelite haven't changed much on their designs. 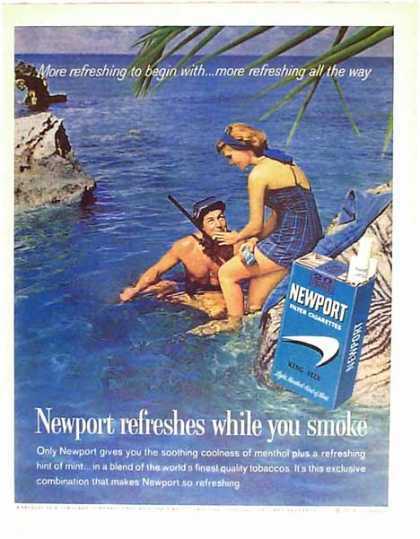 Ah, smoking and diving, always went hand in hand, right? Just like drinking and diving. Oops, we had that already in the previous set of adds! How PC were the good old 6-tees and 7-tees! You can leave it to the cheeky Italians to come up with some good looking babes in scuba, oh well, scuba, she sure looks good. Oh, and a nice car as well. Hope you enjoyed this set of adds again. Stay wet and see you soon.